Pure London is promoting a young entrepreneur supported by the Prince’s Trust, the talented hat designer Elise Gustilo, whose exceptional creations will be on show in the Accessories Concept area from the 22nd to the 24th of July at the Olympia exhibition centre in London. 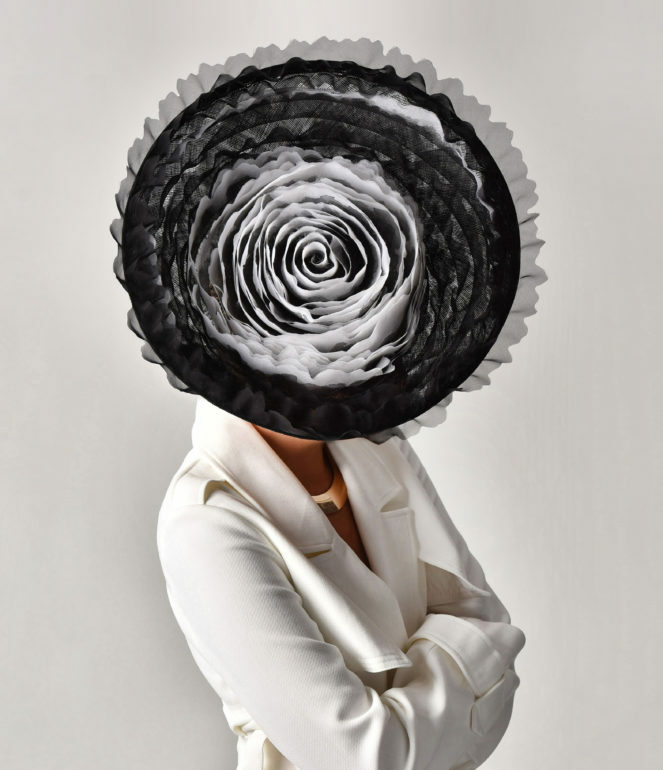 Engaged in crafts from a young age, Elise developed her skills in traditional millinery with the legendary Rose Cory, Royal Warrant Holder to the late Queen Elizabeth the Queen Mother. Elise approached The Prince’s Trust wanting to turn her passion into a business and took part in their Enterprise programme, which supports young entrepreneurs turn their business ideas into a reality through practical support and mentoring. In 2017 she received the Cockpit Arts / Prince’s Trust Creative Careers Award and now creates her unique, handmade hats and headpieces at her central London Holborn studio. Her designs fuse time-honoured techniques with contemporary concepts and materials combining playful experimentation with scientific curiosity stemming from her love of art and culture.